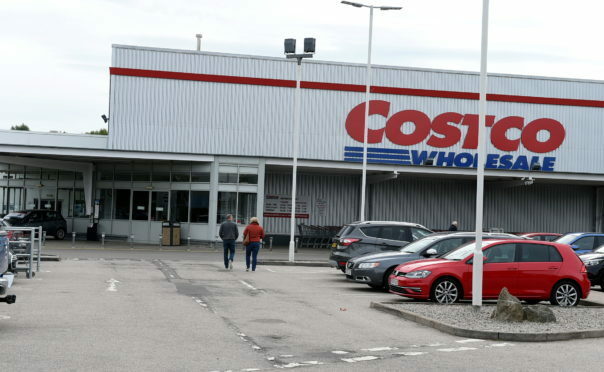 Customers at Westhill’s Costco store were left shocked after food items were recalled due to an E.coli scare. Bosses alerted the public to the issue in a letter sent out on Tuesday. It stated that Aberdeen Angus minced beef products, sold between September 3 and September 7, could contain the potentially deadly E.coli bacteria. The letter advised that “any product that has been frozen or further processed and not been consumed should be destroyed”. A spokesman for Broxburn-based AK Stoddart declined to comment, but The Press and Journal has seen the letter, signed by the supplier’s managing director, Grant Moir. This stated: “Both the FSA England and FSS Scotland have been contacted regarding the findings and have undertaken risk assessment. “Their advice is that if the product has been cooked thoroughly and to a high temperature it should not pose any risk to health. “Any product that has been frozen or further processed and has not been consumed should be destroyed. “The quality and safety of our products is of paramount importance which is why we are working closely with Costco and the relevant government agencies to inform Costco members of these findings. On social media, shoppers at the Westhill store were angered by the news, with one customer encouraging others to “shop local” at butchers to avoid contamination concerns.